What is your role/track in your Broadway debut? I am the Elder White track! In the opening number, “Hello,” he speaks Spanish only to be sent to France in the very next number… ha! He also has fun cameos like a lovely orange jumpsuit wearing villain in Spooky Mormon Hell Dream. How did you find out you had booked the part? I was in California driving to a friends to make an audition tape for another show, when my agent called me and told me that I’d be making my Broadway debut! What’s been the most surprising thing about preparing to perform the show? 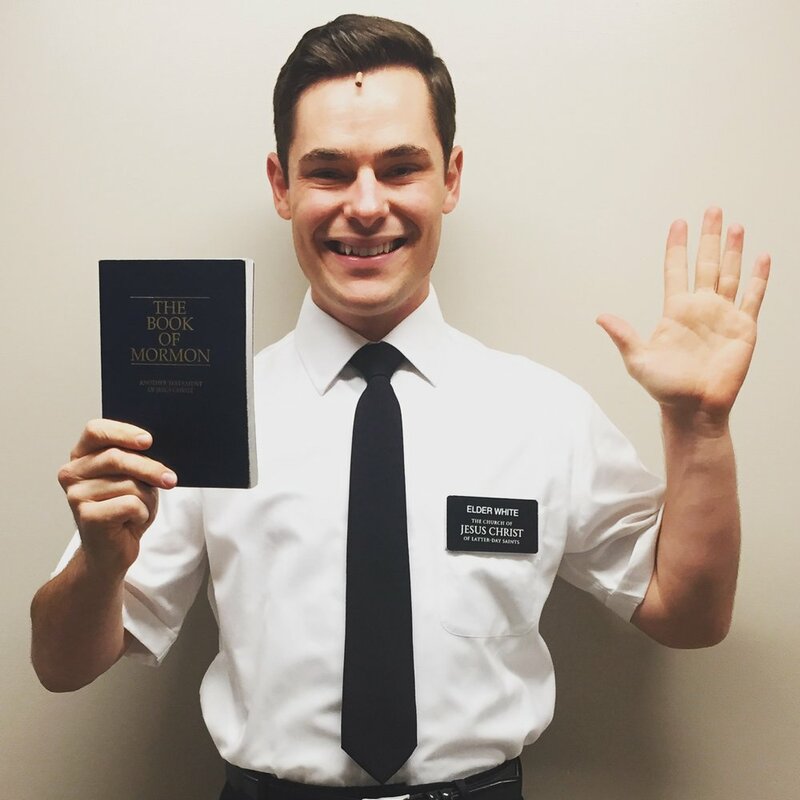 Since I did The Book of Mormon tour for almost two years, I was actually surprised at how different a lot of things were. It’s sort of like scrambled eggs in my brain trying to undo what I had been doing. Sometimes it’s little things like the way the actual Book of Mormon is held in your hand, and then other things like reversing the choreography completely cause I was on the other side! But it’s been a blast. What are you looking forward to most about your experience on Broadway! Getting this job has been my first official move to NYC! So I’m most looking forward to finally becoming a New Yorker and experiencing the city, especially spending time with my sister’s family including my two nieces and nephew. But being a newcomer, I’m excited to learn about all of the experiences that come with being in a Broadway show that I don’t even know about yet! Listen to our podcast episode on Broadway Debuts here.